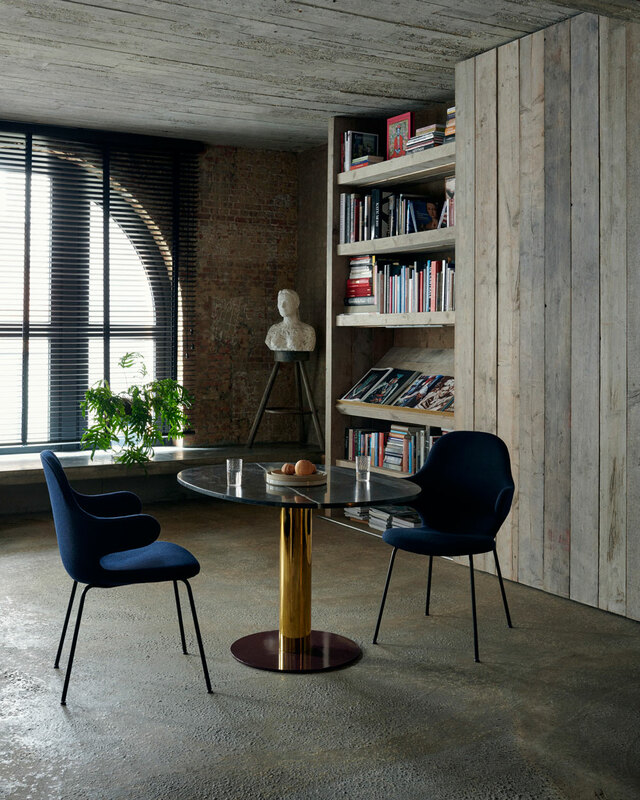 The N01™ chair is designed by the Japanese design studio Nendo for Fritz Hansen. 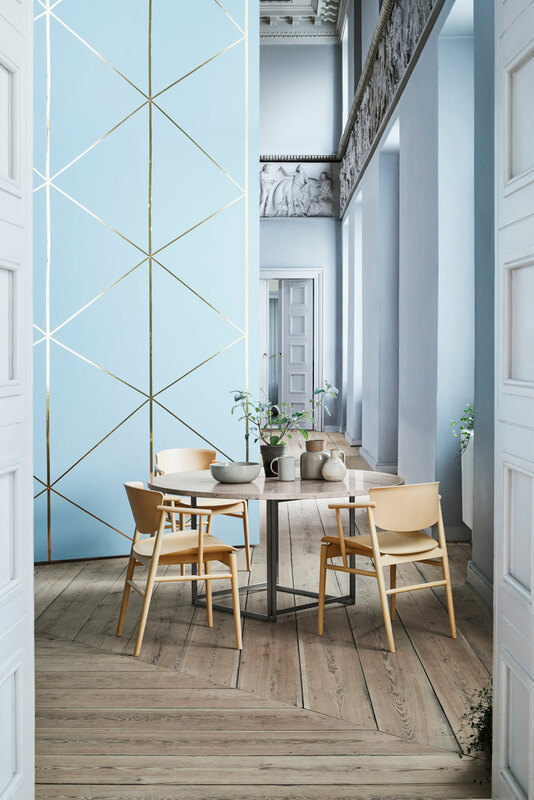 Created by the merging of Danish and Japanese aesthetics and purity, N01 brings back nature and embraces today’s modern life. 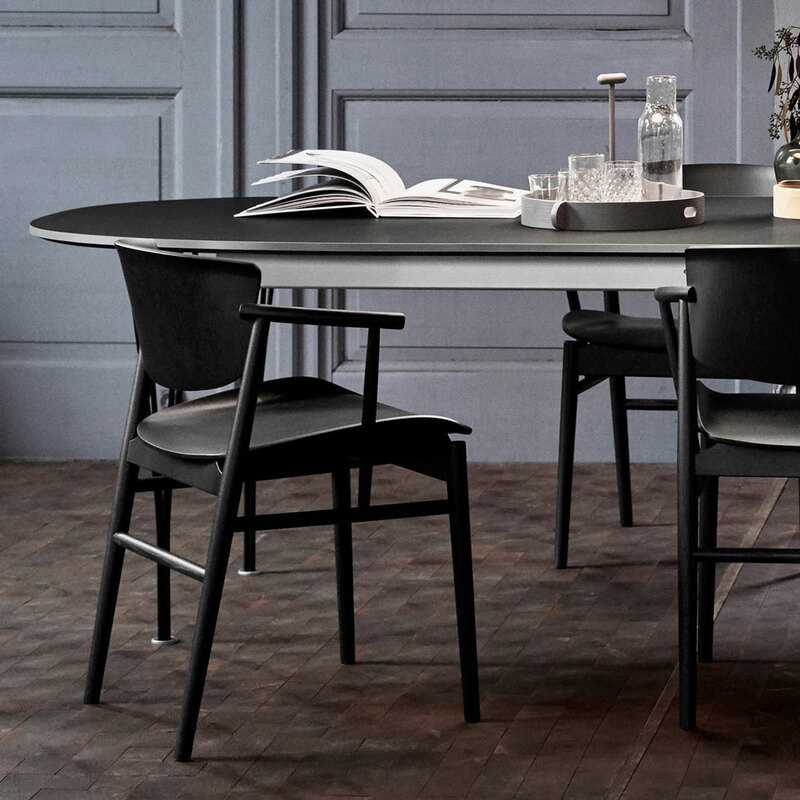 “A life where the dining room is not only a place to enjoy a meal but also a place to be productive, a place for conversation and a place to relax after a busy workday or just everyday life.” N01 combines a seat and a back in nine layers of veneer – characteristic of the Fritz Hansen stacking chair collection – while the base is a pure and elegant interpretation of working with solid wood. Millimeter by millimeter, the wooden design is an illustration of aesthetics and functionality. 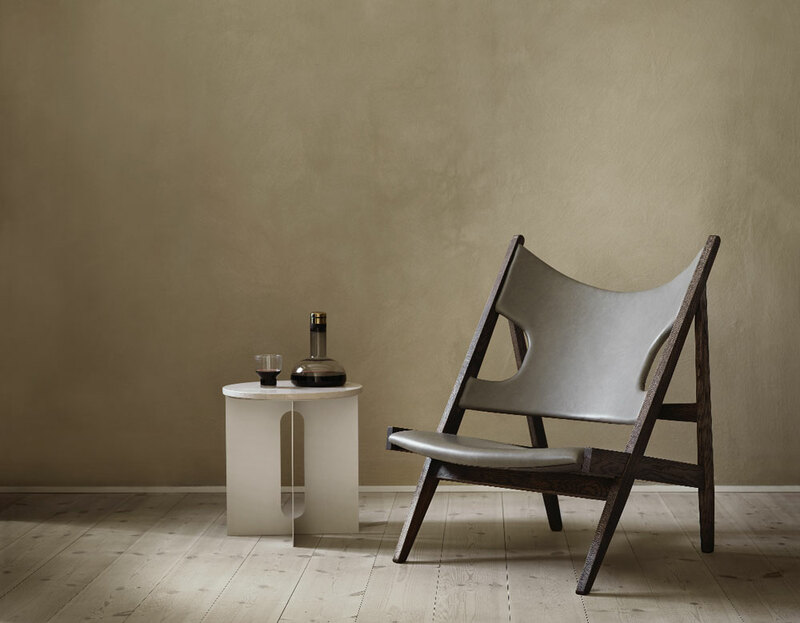 It represents a chair that is not only comfortable but stunning to look at from every angle. 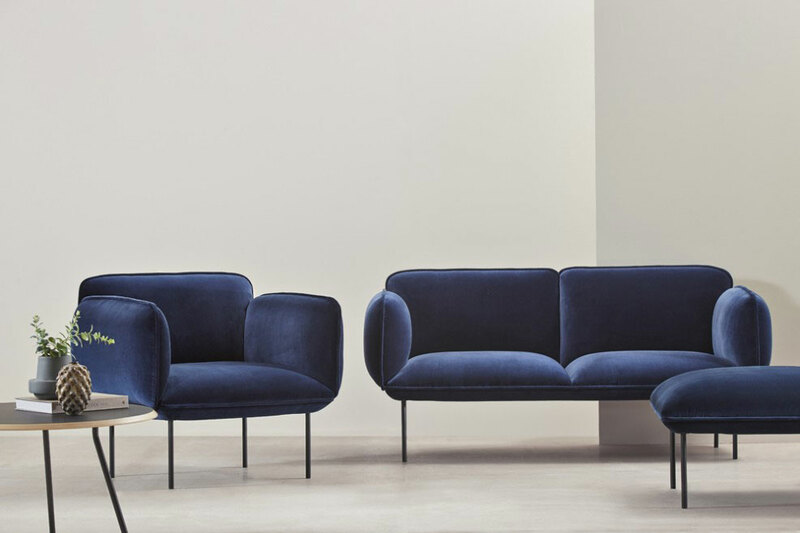 The beautiful Nakki series was created last year by Finnish designer Mika Tolvanen for Woud, and it was just revealed that a three-seater now joins the line. I really like the distinctive look of the sofa, with its rounded edges and slim legs. 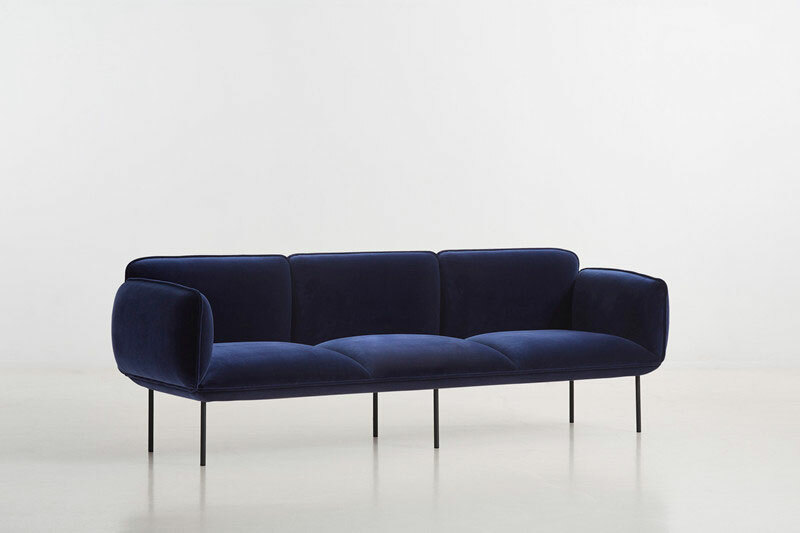 It is upholstered in leather or with Kvadrat fabric. 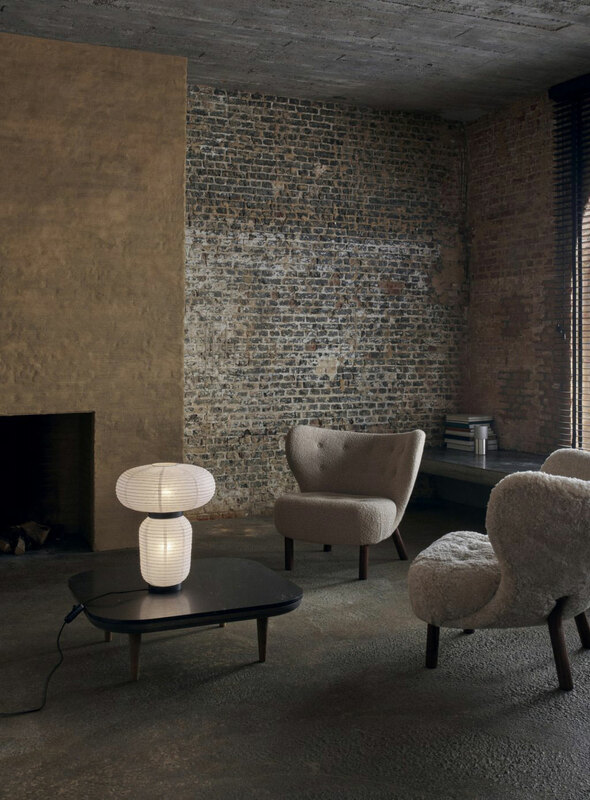 The collection already includes a pouf, a chair and a two-seater. 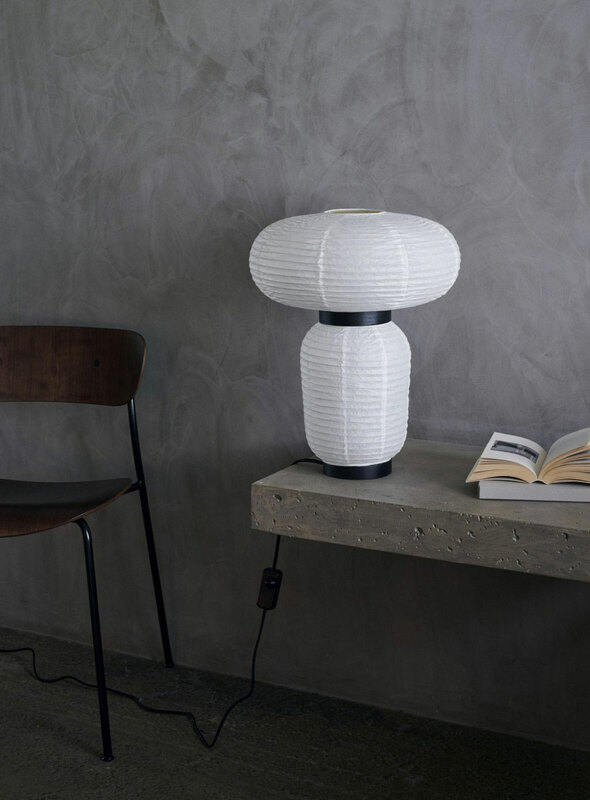 The popular Formakami series now includes a table lamp! 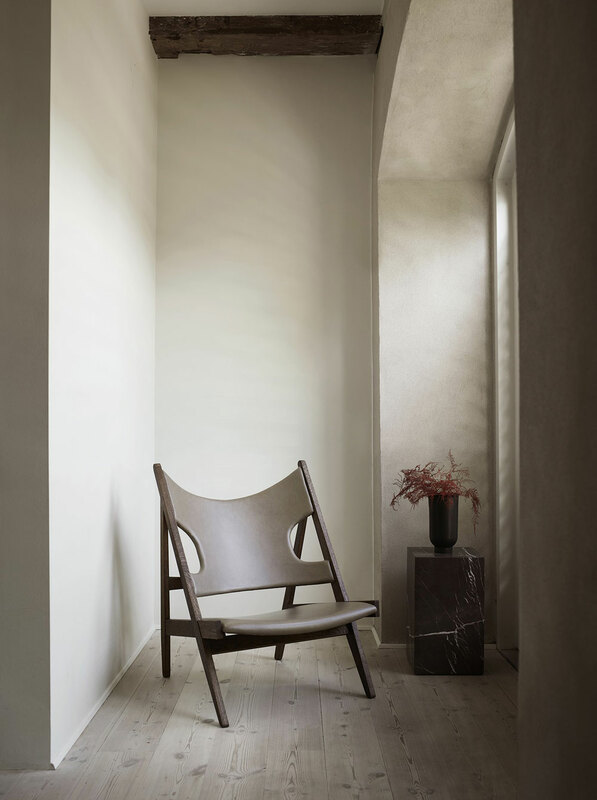 Meet Menu’s latest release is the Knitting Chair by Danish architect and designer Ib Kofod-Larsen designed in 1951. 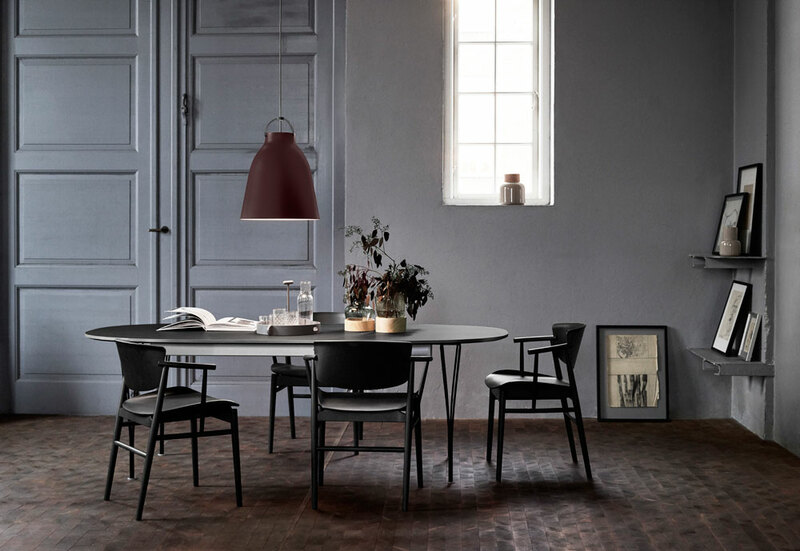 Available from September 2018 in dark stained solid oak with grey-brown aniline leather. Another new arrival at &Tradition, and again by Spanish design Jaime Hayon: Mezcla, a series of tables with a melange of shapes, sizes and colors that culminate in one harmonious entity. Drawing on classic geometric shapes, like the circle, oval and cylinder, each component is crafted in a different material with its own texture, finish, and colour. The result is a composite of contrast and cohesion in a series of tables with no sharp edges. Meaning, you can sit anywhere you like and be equally as comfortable. 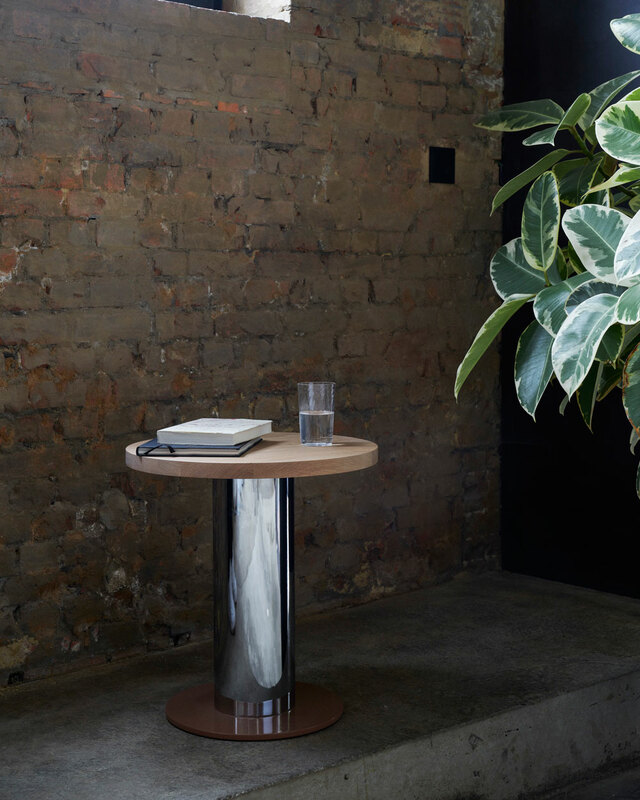 The Mezcla tables come in four different sizes and materials. To see more news from the last couple of months, click here and here.